This is neat. For several years, Google heavily invested in efforts to build driverless cars, with a separate subsidiary named Waymo now entirely focused on it. Turns out, Google founders Larry Page and Sergey Brin lured a high-profile autonomous car expert to the company at a driverless car race way back in 2005. The catch? He showed up in disguise. According to CNBC, Page attended the driverless car race the 2005 DARPA Grand Challenge in disguise so he could check out the scene without being bothered. That’s how they came across Sebastian Thrun, the eventual leader of Google X (which created the program now known as Waymo). At the time, Thrun was building a driverless car to race in the DARPA challenge. “My team turned out to be the lucky winner for whatever reason,” Thrun told CNBC in an interview for the new series “The Brave Ones”. 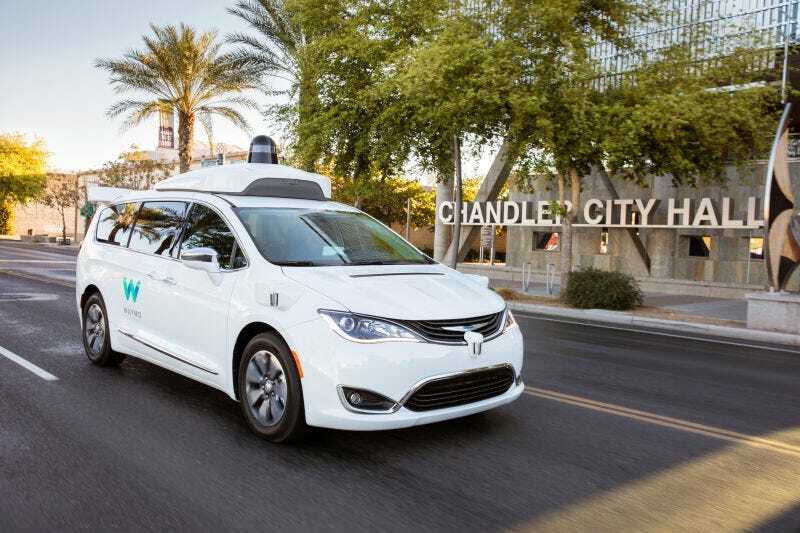 Waymo’s self-driving efforts have been in the news lately thanks to a lawsuit the company filed against Uber, alleging the ride-hailing giant is using stolen autonomous tech designs to pursue its own driverless car ambitions. A judge could issue an order as early as this week on Waymo’s request to halt potentially all of Uber’s self-driving car program as the case proceeds. But back to Thrun. In 2007, CNBC says he approached Google about helping the company build its now well known Street View. Google took him up on the idea, and “...we built up Street View and with a singular vision to photograph every street in the world,” Thrun told the news outlet. And it all started with a wealthy tech guy dressing in a disguise. That’s definitely an interesting way to woo a prospective employee.